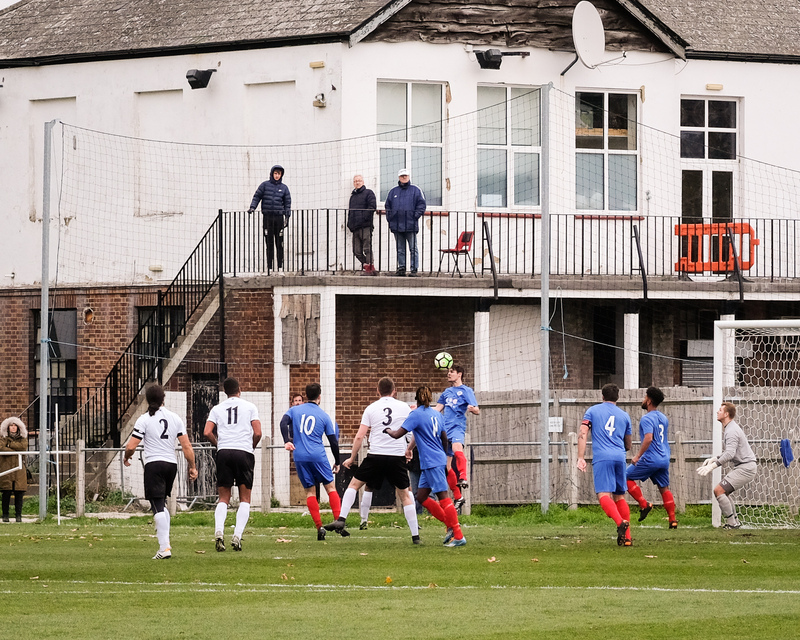 The last weekend of October half-term threw up a rare Saturday without the usual day-time commitments, so I took the chance to go and photograph my local non-league team, mindful that with the clocks changing that night there wouldn’t be too many more opportuities to do so with 90 minutes of daylight for a while. 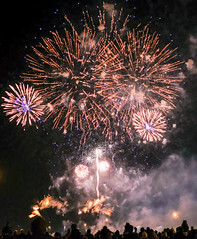 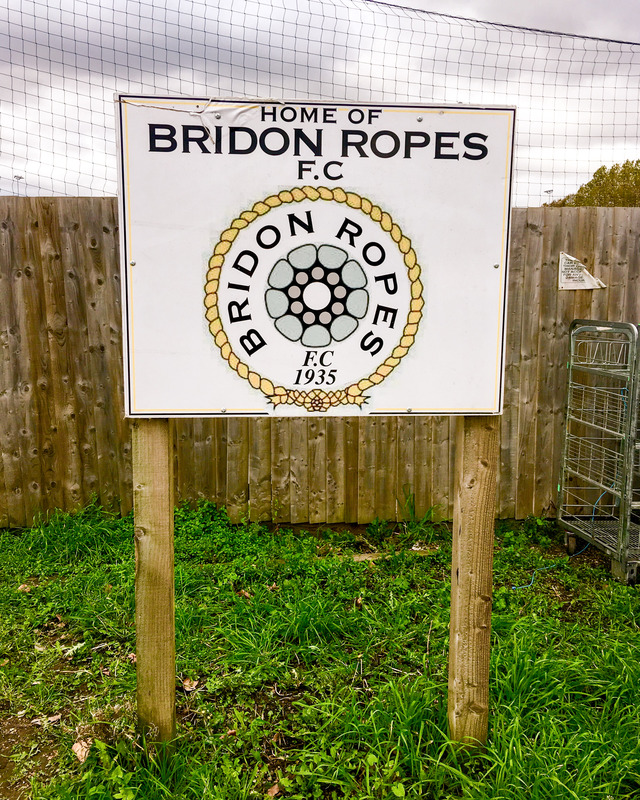 Bridon Ropes FC were formed in 1935 as the works team of the rope factory based in Charlton’s industrial riverside area. 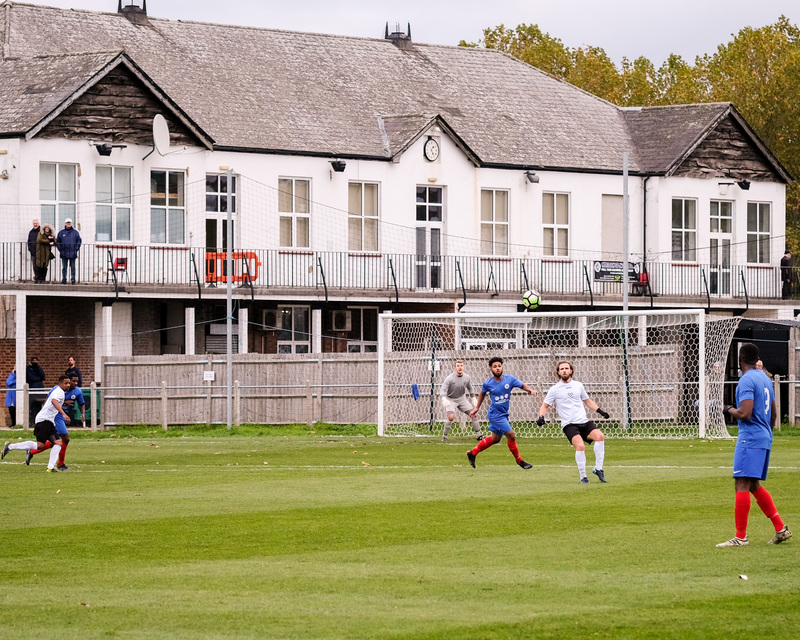 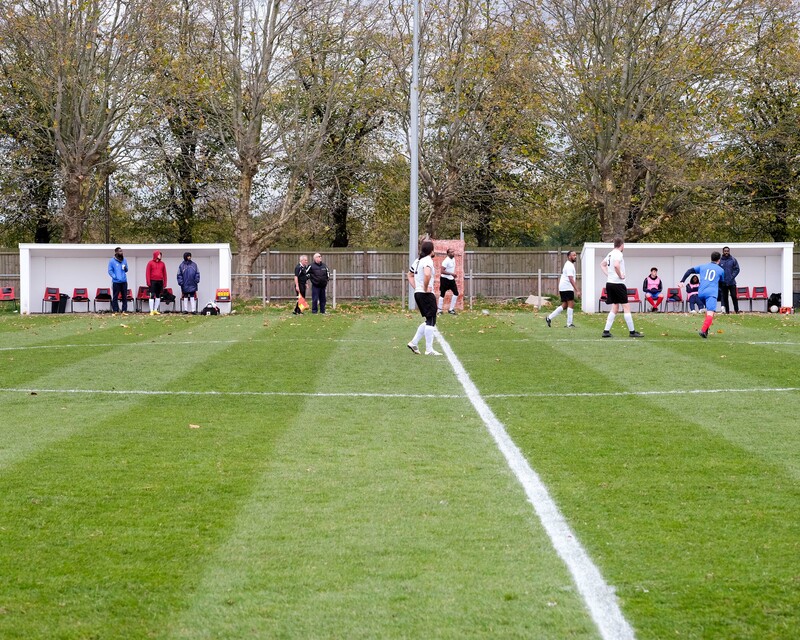 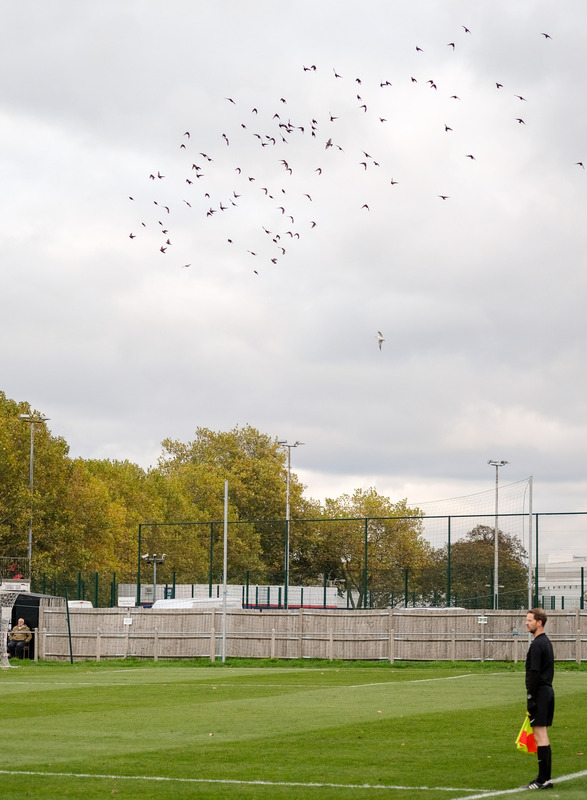 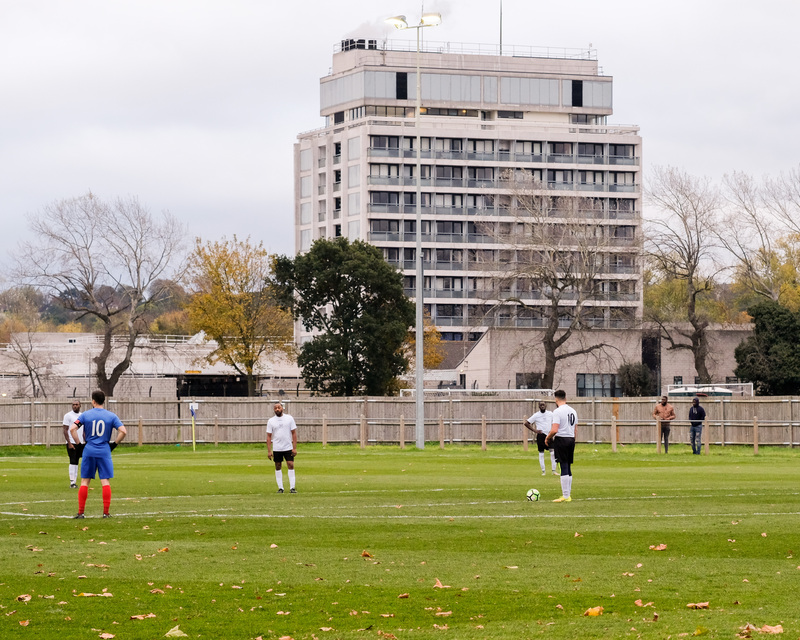 The ropeworks has long gone, but the team carries on, now playing home games at the Meridian Sports Club, in the corner between Charlton Park and the QE hospital. 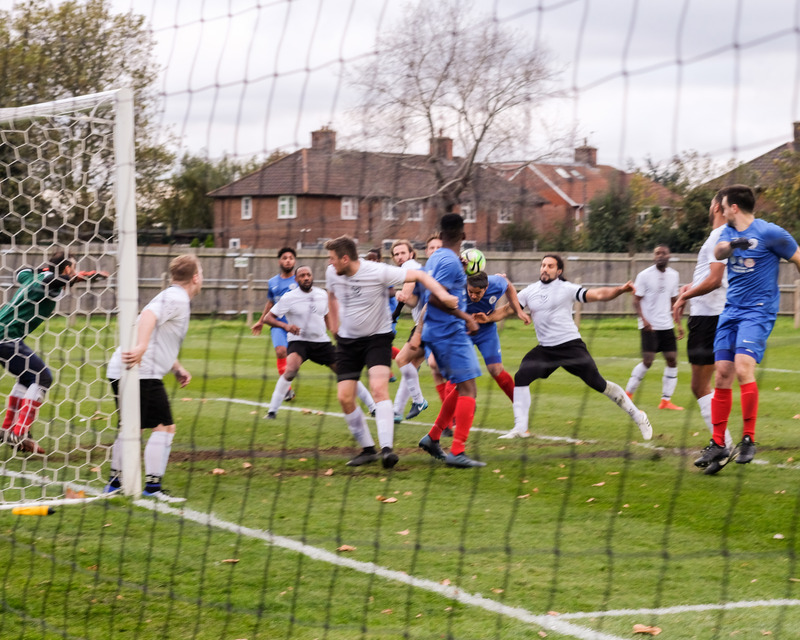 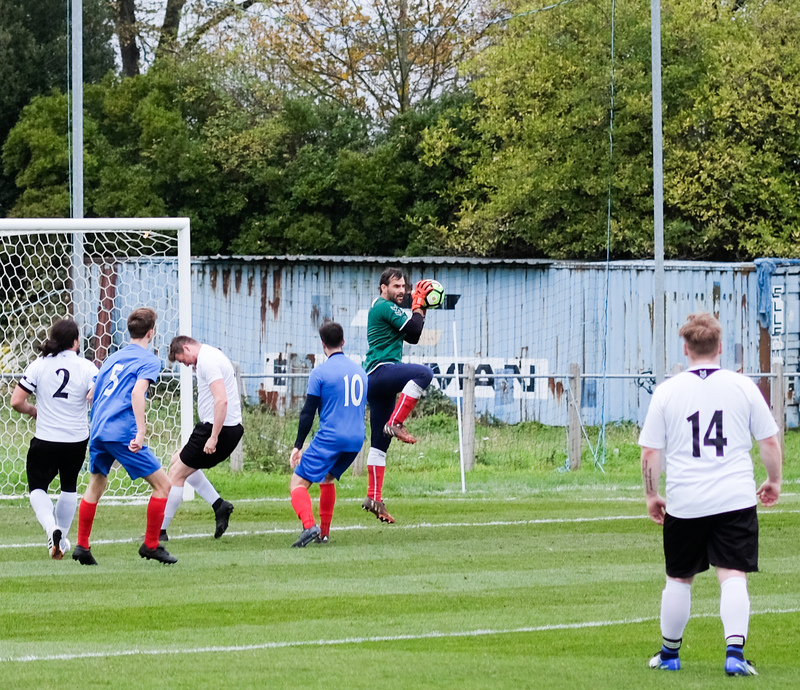 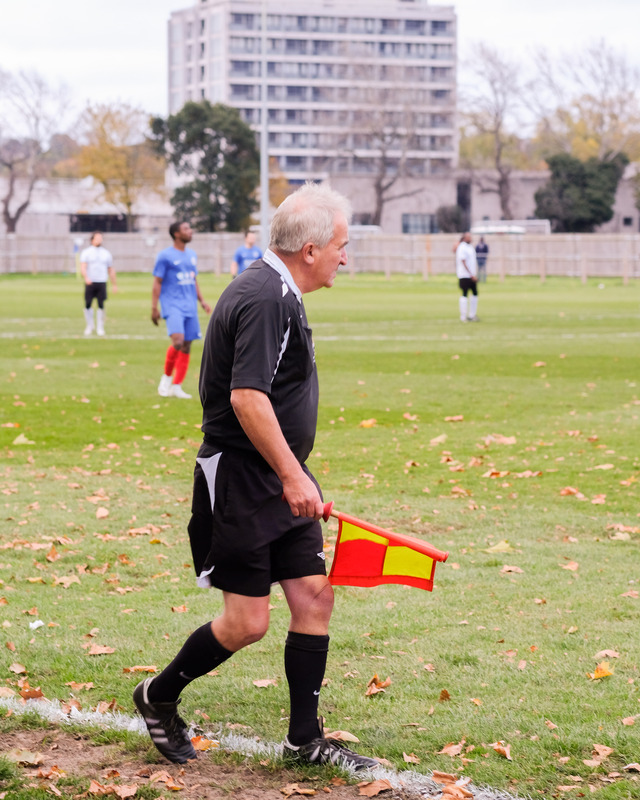 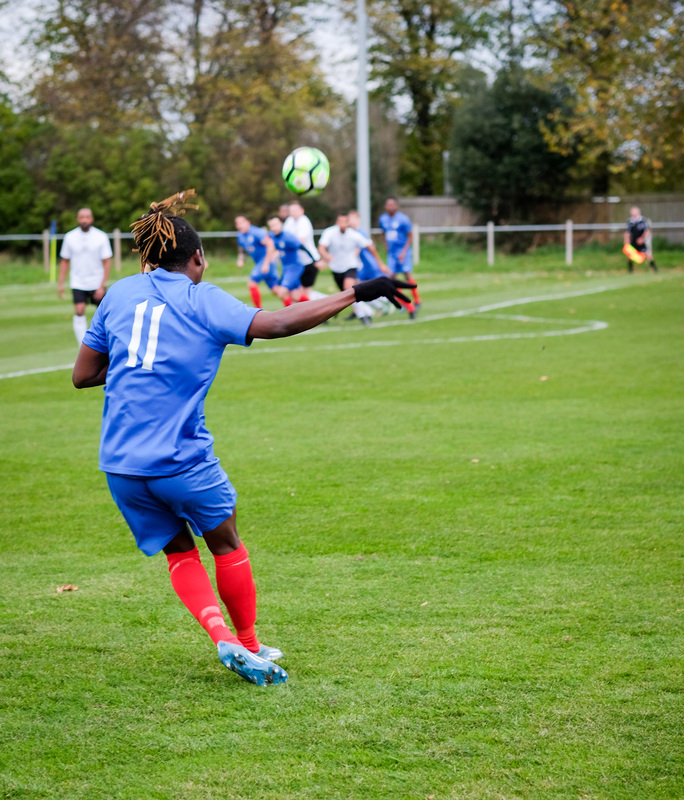 The match was pretty entertaining, in the way that football can sometimes contrive to make interest out of what was, on paper, a walkover – Bridon Ropes beat South Kilburn 8-0 to progress through to the next round of the London Senior Cup. 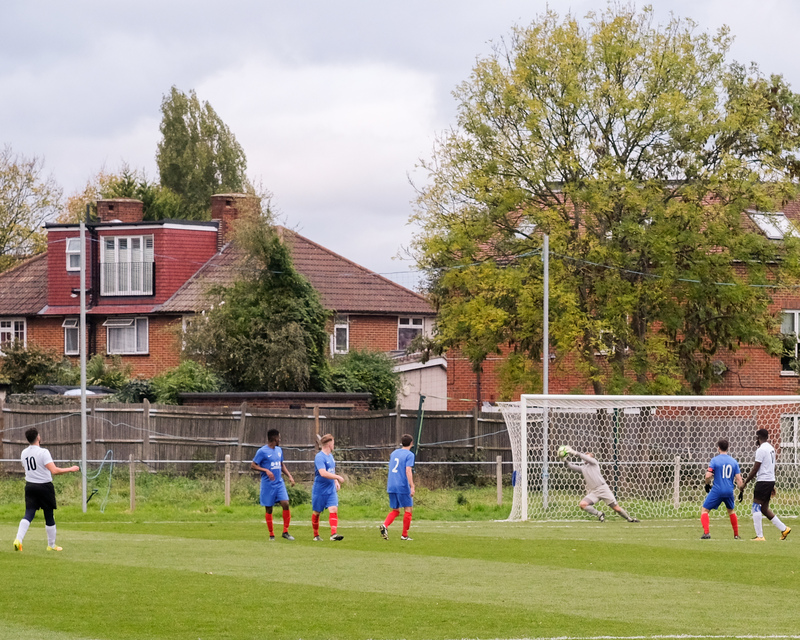 And 8 goals for a fiver can never be bad. 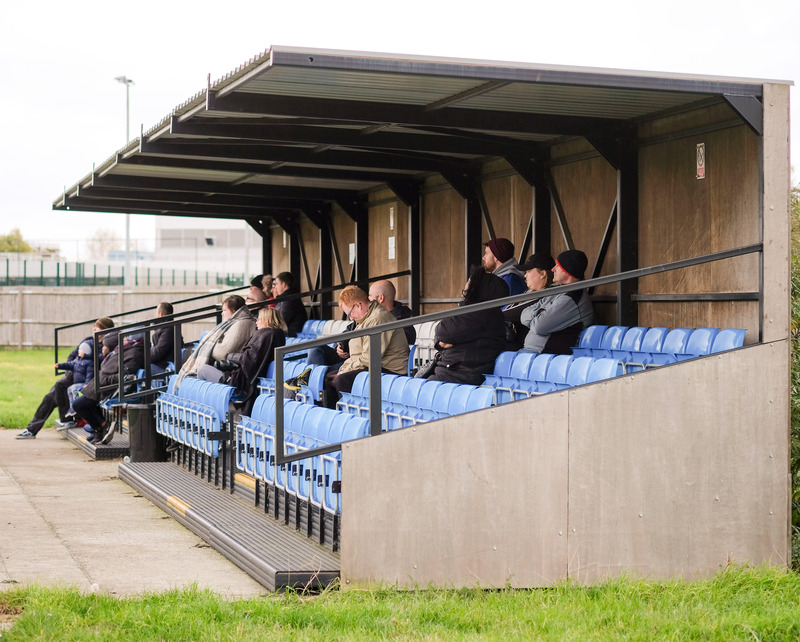 My friend and collaborator, Darryl Chamberlain, wrote up our trip in more detail for The Charlton Champion.